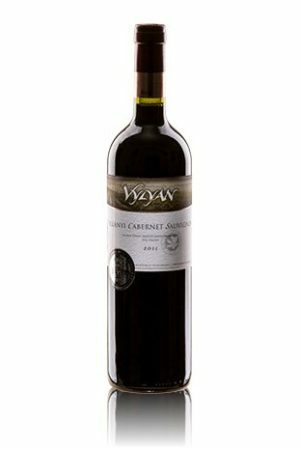 Vylyan Cabernet Sauvignon 2006 - Directly from the winery! Cabernet Sauvignon is a real globetrotter, founds his home in nearly every wine country. Our Vintage 2006 is serious & respectful, needs a bit time to unfold. 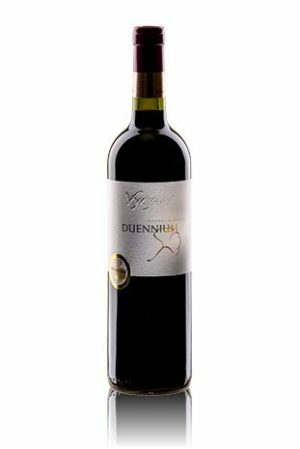 First the fruitiness with bright acidity comes, almost together with the massive structure & typical varietal character (notes of blackcurrants, plums and red pepper) bolstered by friendly tannins. Good choice for stews and roasts, feels gratifying during heavy meals. A top vintage with balanced and warm weather. The promise of good balance and longevity for red wines came true, with suprisingly lively acidity and massive tannins. The beautiful 2006 vintage allowed us to bottle our first vineyard selections as well. The fully ripe grapes of 2006 gave the best condition for long maceration on the skin (lasted 26-25 days on 29-30 ۫C). For extraction we used, pumping over & delestage. The malolactic fermentation (using only natural yeast flora) and maturation took place mostly in the barrels: 225 l made out of Hungarian oak.